Minimize the shearing stress to avoid micro-cracks of the solder joints. Guiding device of the "V-CUT" of the PCB. Ball bearing slideways for easy setting of the PCB edge guides. Ball bearing slideways for easy setting of the height of the tabletop. 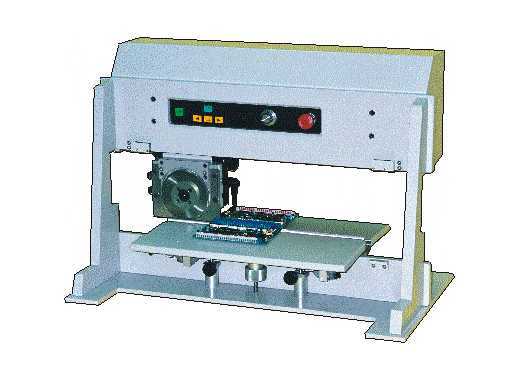 3 easy operating modes: Manual by handwheel, semi-automatic by pressing the start button or fully-automatic by continuous running. 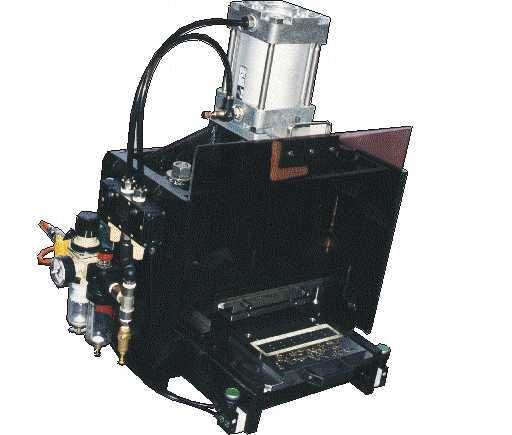 Guide can be adjusted vertically to suit different PCB thickness. Clearance between the circular blades can be precisely adjusted with the knob. Upper and lower circular blades can be re-used after regrinding. Shape and sizes of the circular blades can be made according to customer's specifications. 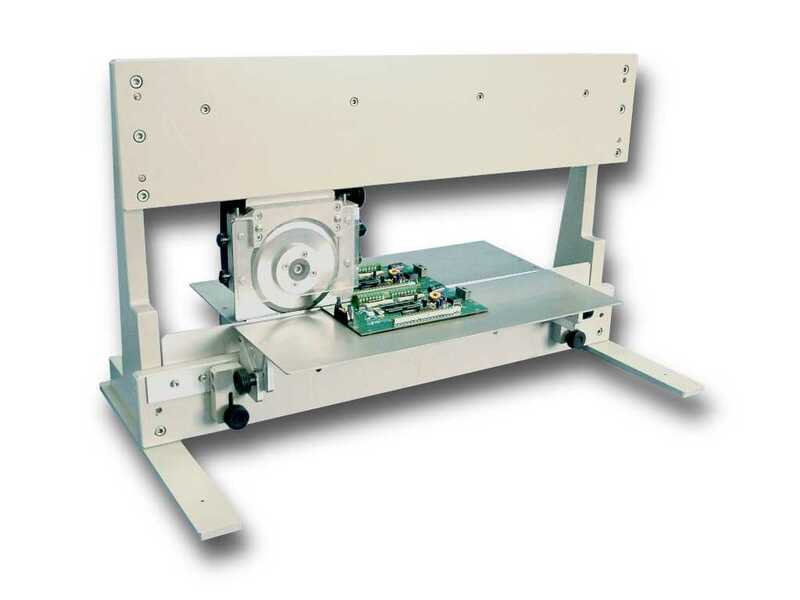 Separation of routed PCB assembly without stressing components or lifting circuit traces. 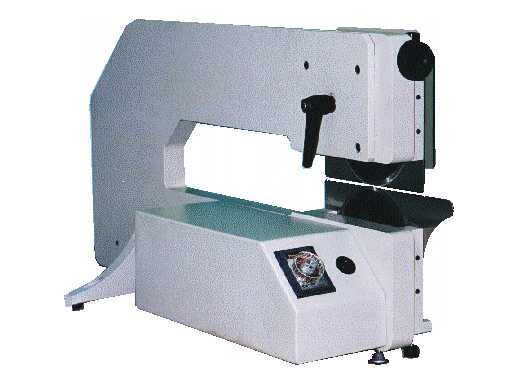 Can be fitted with one or more blades for multiple routing slit. A variety of blades to suit different thickness and width of the nibs. Easy access and changeover of the blades. Blade width and shape can be made according to customer's specifications. For even more effectively, two of these machines (PS-ML-1 & PS-MR-1) can be combined to one tandem unit. 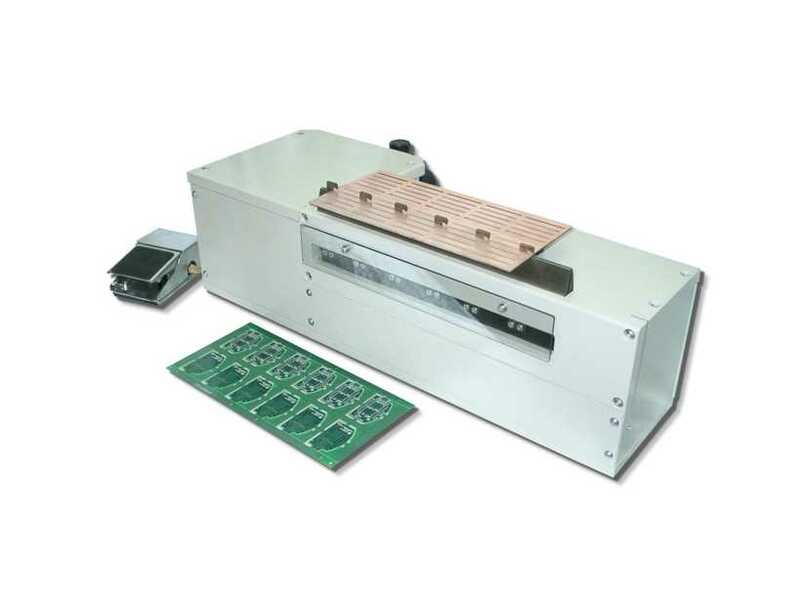 Depanelize PCBA by means of punching dies, to avoid micro-cracks caused by manual. Cast iron framework for rigidity. 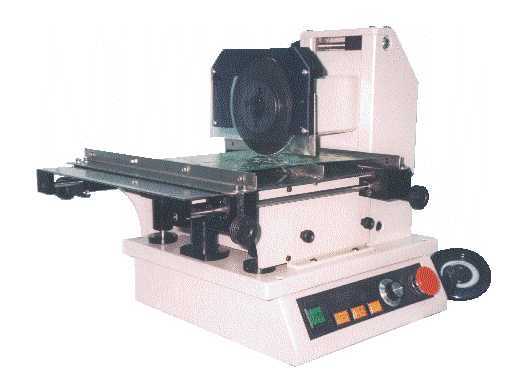 Punching dies are changeable. Easy set up of punching dies. Moveable lower die for easy loading and unloading.